Come discuss about implementations of a free open network using mesh networking technology in NYC. Sponsored by xCubicle. 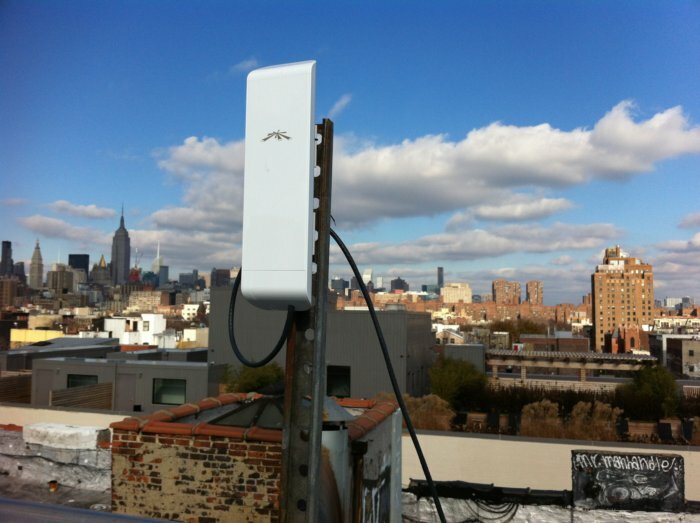 What if any computer in New York City could connect to any other computer, for free? The Internet is lovely and all, but it’s designed in such a way that we have to pay Internet Service Providers for access each month. And that can get real expensive, real fast. By using what are essentially high-powered wireless routers, anyone within several miles of someone on the network can join. Moreover, routing and other technical details involved in running this kind of network are handled by building the network on top of the CJDNS software. This has the added benefit of keeping all our communication secure as well. Join us on IRC (#nycmeshnet on EFnet), or contact us via any of the social websites below. And don’t forget to check the blog for updates!